How do you play winning blackjack online? What Are the Variations in The Game of Blackjack? What is Basic Strategy in Blackjack? Blackjack is by far the most popularly known and played casino game there is today. When you think casino, usually it is not the slots that come to mind, it is card games and blackjack players. The other games tend to come after. It is an exciting game with many variations of the game. Each game you play at a different casino whether you play online or in a land-based casino can come with a variety of different rules. 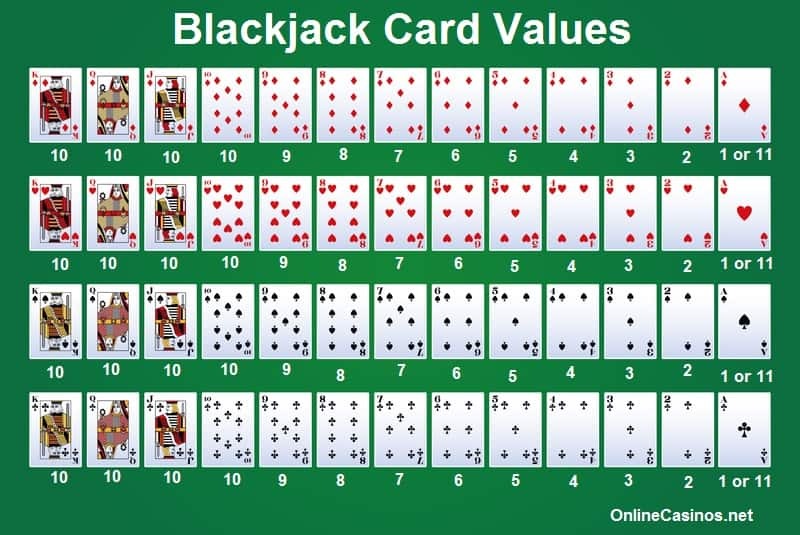 As there is so much to learn about blackjack, this is just a brief overview of all the variations you can expect to come across. To actually understand how each blackjack variation works and how the house edge is affected will take some further reading/research. Probably the very first point to mention is that the house has an edge of 0.5%. This means as a player, you have a 99.5% Return to Player (RTP) on your bets. To understand how this works though, you will need to read about velocity, variance, probability, and RTP. The reason we are telling you this is because that 0.5% house edge, or 99.5% RTP if you will, only applies to blackjack players that know basic strategy. Otherwise, the house edge is generally a lot higher, and that is simply because of the way you play the game. If you are a beginner, it is not overly important how different variations of blackjack there are because you will only just have began learning how to play the game. It is not until you become a more advanced player do you need to start taking note of the different rules each table or casino applies to the game. It would be at this point when you begin to apply basic strategy to your game, which we will speak about more below. Some casinos will use just a single deck, others two decks, and so on. Some blackjack tables hold up to eight decks in the shoe. The shoe is basically where the cards are kept. There are quite a few blackjack tables that come with a variety of bonus bets. Some require a bet to participate in the progressive jackpot. There are other side bets that are quite well-known and popular such as Perfect Pairs, 21+3, Royal Match, Over/Under 13, Super Sevens, Lucky Ladies, Pair Square, Insurance, and loads more on top of this. In general, side bets are fun to play. That said, if you want to be an optimal blackjack player, then you will avoid side bets because the house edge on all bonus bets is heavily weighted in favour of the casino. In general, blackjack is blackjack no matter where you play. However, there are places that have slightly different rules. This could include rules on how and when you can split your hand. Some casinos do not allow you to double down on your bet. There really is not much to explain here except that you can play one hand at a time at a table, or you can choose to play multiple seats. This is more common when playing online. At a casino, you will usually have to ask if you are allowed to play more than one seat at a time. The only reason we are mentioning this is because some people get confused about the terminology. Now, most people assume live dealer blackjack is playing in a land-based casino. Therefore, physically sitting in the seat I the casino playing versus the dealer. To some extent this is true because casinos also have video blackjack games available, so you do not have to sit at a live table with a dealer. Yet, the online terminology refers to playing versus a dealer online. Live dealer blackjack is a webcam pointing at a dealer and a blackjack tables while you sit at your computer or on your mobile device streaming the webcam video. 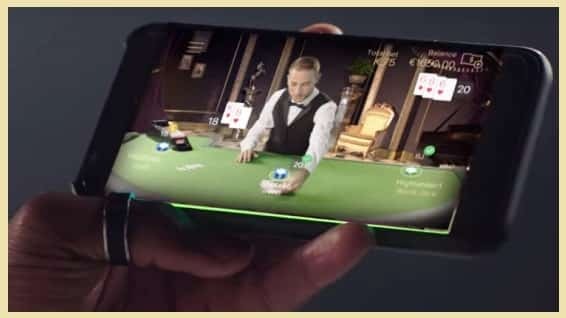 You then place bets using your mobile device or computer. It is a fun way to play the game online and gives you an authentic casino experience without actually having to physically be in the casino. If a casino table allows double down bets, then you can double your bet for just one more card. This will in effect end your hand because you cannot ask for any more cards after this. You would only do this if you feel confident your hand is a good one and you stand a high chance of winning versus the dealer. You will not be able to double down after you have ‘hit’ or chosen to ‘stand’. When you are dealt a pair, so two of the same cards, you have the option to split them into two different hands. You will need to add an additional bet for the extra split too. You then play each hand separately versus the dealer. You can only split once you have been dealt your cards and not after you have ‘hit’ or chosen to ‘stand’. Be careful of the rules though because some casinos do not allow you to split Aces or certain pairs. It’s not a big deal, but if you are a basic strategy player, then it could be! You can surrender your hand. This means that half your bet is returned. Usually, this only occurs in basic strategy when the dealer’s up card is an Ace or Nine and your hand dealt is a total of 16. It really is not a hard game to play if I am honest. At least it is not hard to get used to the sequencing, how to double down, when to split and so on. Only when you start to apply basic strategy can blackjack become tricky. You can read more about basic strategy in our final section below. There are 4 main parts to the game assuming you have already read part 6 and 7 above covering double downs and split bets. The dealer does not get to choose to whether to hit or stand. During the deal, the dealer will be dealt two cards, but one of those cards will be face down. Once all the players have had their turn to act and their hands are over, then the dealer will turn over his/her card. The rules are dictated by the table. Normally the dealer needs to ‘hit or draw’ on any hand that total less than 17, so 16 or under. Then any hand 17 or over the dealer must stand. Very few casinos will make the dealer hit on 17 and if you can find one, then let us know! The rules of blackjack are simple. Your hand has to beat the dealer’s hand total. That is it. The highest hands closest to 21 wins. Now any hand that goes over 21 is considered as a bust. It means the bet is lost if it is the player’s hand or if it is the dealer’s hand, any player hands that did no go bust automatically win. Aces can count as 1 or 11, and all picture cards count as a total of 10. Pretty simple gameplay that anyone can learn. 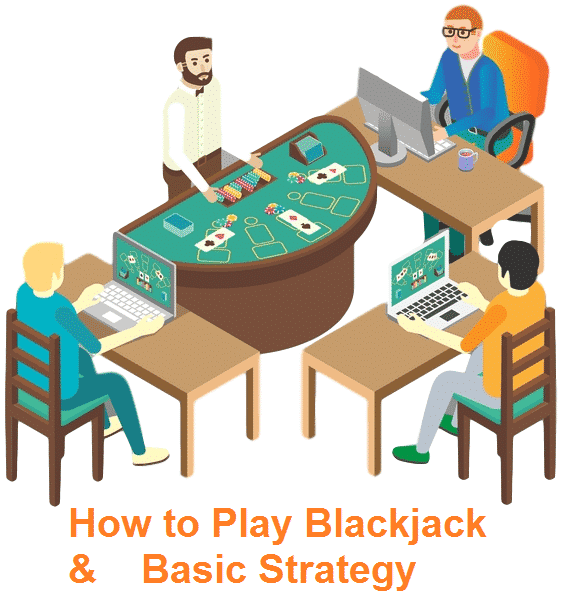 Nonetheless, if you want to become an optimal blackjack player and take advantage of the 0.5% house edge, then you need to learn basic strategy. If you win your bet, you will be paid back even odds. That means if you bet $10, you will be paid back $20, which is $10 profit and the other $10 is your original bet. It is a table of actions that you should take according to the hand you are dealt by the dealer versus the face-up card the dealer has. These formulas have been mathematically proven to work according to variation and probability. It takes a long time to learn exactly to play basic strategy. Also, it will change slightly according to the table variation and rules you are playing against, so make sure you check the basic strategy that applies to the number of decks, double down rules, whether you can surrender and so on. In the long run, if you play basic strategy, then you will be playing at the 0.5% house edge giving yourself a 99.5% RTP. If you do not play basic strategy, then you are giving the house a much better edge, which is often up to 50% for inexperienced players. As a beginner, accepting the house is going to win while you learn is all part of the game. As long as you enjoy yourself, play limits that you can afford, then you will soon become an established blackjack player. In the end, the answer to playing winning blackjack online is learning the game, its variations, then mastering basic strategy. Copyright by Online Casinos .net 2001-2019. All rights reserved.